Rude Gameware has launched a new mouse aimed at gamers, the Fierce Laser Gaming Mouse V2. The Rude Gameware Fierce Laser Gaming Mouse V2 features a 5000 DPI Laser Engine and a 1000 Hz polling with 1 millisecond response time. It features a total of seven buttons which can be programmed with a range of macros and it features built in memory for macro recording. Rude Gameware has improved the abilities of their laser gaming mouse by over 60%! The Fierce Laser Mouse V2 now sports an overpowered 5000 DPI laser engine with lighting response time of only 1 millisecond – enough power and speed to shatter gaming records! The Fierce Laser Gaming Mouse V2 includes all the stuff gamers want in a mouse without any extra complications. 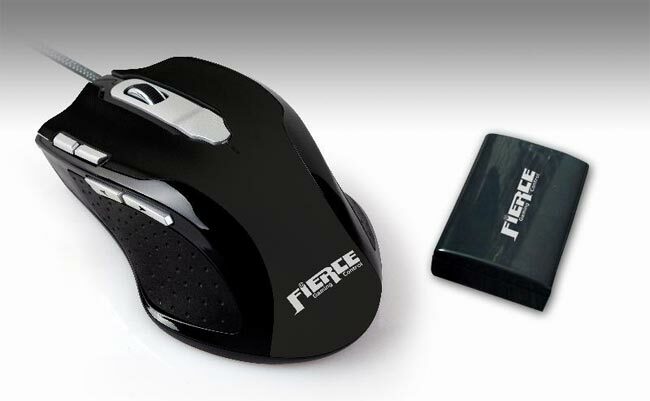 The Rude Gameware Fierce Laser Gaming Mouse V2 will be available for $49.95.